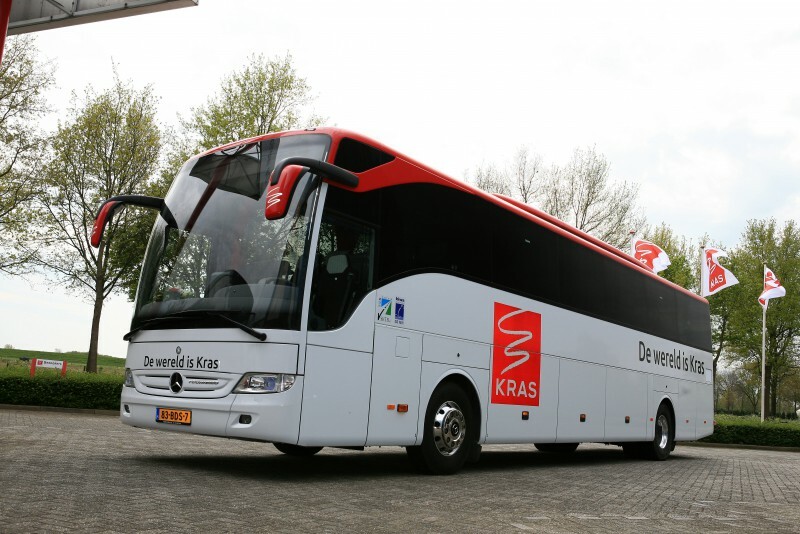 Coach fleet - Krasbus.nl - Wij zijn pas tevreden als u dat bent! For top of the bill coach hire at a low cost rate, look no further than KRAS Touringcars. Continues hard work, expertise and knowledge has enable us provide travellers, tourists, tour operators and companies with impressive coach hire service. Over the years we have established a large fleet of luxury coaches which offer a very high standard of comfort during your trip. Every year we update our range of coaches so that we can offer our customers the very latest models and features. The average age of our coaches is 2 years! With the execution of your order we use comfortable luxury coaches that meet the highest safety requirements. 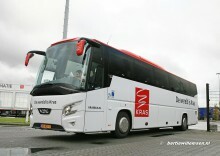 In our large and modern coach fleet we have coaches ranging in size from 8, 19, 34, 36, 44, 50, 52, 56, 61 up to 80 seats. These are luxury mini buses, midi coaches, medium coaches, large coaches and executive coaches. 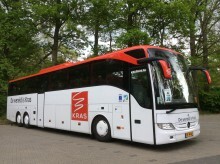 We also have wheelchair coaches and cycle coaches. Regular maintenance of our coaches is one of the keys to the reliability, safety and efficient of service we provide to our customers. When you book a coach you want to be sure there won’t be any unscheduled stops on your journey. So to ensure that we are fully in control of our maintenance schedules all of our coaches we have built our own comprehensively equipped, state-of-the-art workshop facilities. After every tour each coach undergoes a rigorous, multi-point workshop inspection, in addition to the daily safety procedures that are religiously carries out.